Inditex, world’s leading fashion group which operates over 7,000 stores in 88 markets and owns brands like Zara, Pull&Bear, Massimo Dutti, Bershka, Stradivarius, Oysho, Zara Home and Uterqüe, has invested more than Euro 7 million on sustainability front over the last five years. The Group has invested in expansion, scaling and modernization of logistics platforms and design centres to boost efficiency and energy saving measures. The start-up of highly-advanced “multi-shuttle” areas at the Bershka platform in Tordera, Barcelona, and at the Arteixo distribution centre (A Coruña) make dispatch time management more efficient and precise and double the speed. Another area was research and development work focused on store applications for sustainable technology, such as paper saving mobile payments and efficiency technology RFID. Last year, it completed the deployment of RFID technology across its entire Zara store base and has embarked on the process of rolling this technology out in its Massimo Dutti and Uterqüe stores. Other brands like Pull&Bear, with Stradivarius, Bershka and Oysho will follow in 2018. Besides, the number of eco-efficient stores worldwide reached 4,519 in 2016 delivering water savings of 40% and energy savings of 20%. Furthermore, it also introduced mobile payments in 15 markets in total since it started to roll-out in Spain, the UK, US, Italy and France. Using the online apps of each of Inditex’s eight retail concepts or using a Group app called InWallet facilitate the environmentally responsible replacement of hard-copy receipts with e-receipts. Online orders placed in Spain with any of the Group’s brands have no longer generated hard copy receipts since March 2017 thanks to the e-receipt system named “Paperless”. Zara is also already using this system in the US and the UK. The Green to Pack project at Zara alone save 22,000 trees and the emission of 1,680 tonnes of carbon every year. In addition to this, it also introduced clothing containers for used-garments in all Zara stores in Spain, Portugal, the UK, the Netherlands, Denmark and Ireland for recycling into new fabrics. The research and development of more sustainable fabrics is also increasing. Last September Zara launched the second edit ion of its Join Life collection made of Refibra™ fibres. Developed by Austria’s Lenzing Group, Refibra™ fibre are made of pulp from cotton scraps and from sustainably-managed forests. This entry was posted in Brands and tagged A Coruña, Apparel Resources, Barcelona, Bershka, eco-efficient, Energy, energy efficiency, Green to Pack, Inditex, InWallet, JoinLife, Lenzing, Massimo Dutti, Oysho, Paper, Paperless, Recycling, recycling apparel, recycling garments, Refibra, RFID, Stradivarius, sustainable fabrics, Sustainable fashion, Uterqüe, Water, water efficiency, Zara. Lenzing achieved another milestone in its innovation heritage in the textile industry by developing a new fiber based on cotton scraps and wood. Refibra™ is the first cellulose fiber featuring recycled material on a commercial scale and was launched today at Premier Vision textile fair in Paris. The fiber is produced in the TENCEL® production process. TENCEL®, already a market success as an eco-friendly fiber, is now achieving another key milestone by creating from natural resources what is likely the most sustainable fiber. Refibra™ from cotton scraps and wood will further build Lenzing’s reputation as a leader in the field of environmental fiber technology and will push new solutions in the textile industry towards circular economy by recycling production waste. The new TENCEL® generation Refibra™ stands for “Reduce, Reuse and Recycle”. 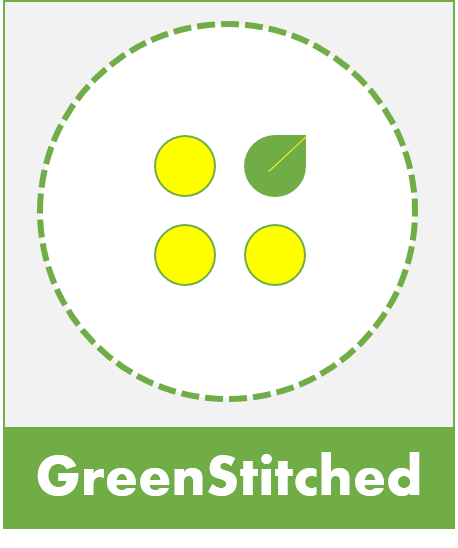 “The brand name Refibra™ and the claim ‘Reborn TENCEL® fiber’ illustrate immediately that this new kind of fiber is made of recycled materials promising reduced reliance on natural raw materials. Because Refibra™ is based on the TENCEL® fiber, which has been internationally recognized for its environmentally responsible closed loop production process, Refibra™offers a deep sustainability profile that clearly contributes to circular economy,” van de Kerkhof explains. Refibra™ with fiber identification Transparency becomes more and more an issue in the textile industry to prove for example material origin. To assure customers that the fiber, made from recycled material, is really in the textiles, Lenzing has developed a new identification system. The system makes it possible to identify the Refibra™ fiber in the finished textile. This guarantees transparency in the overall processing chain. This entry was posted in Recycling and tagged Carved in Blue, Circular Economy, Circular Fashion, circular production, closed loop production, ecofriendly fiber, Lenzing, recycled cotton, Refibra, TENCEL. What does the future hold for black denim? At Kingpins Amsterdam (Oct. 26-27), Lenzing will introduce Future Black, a capsule collection that showcases Lenzing Modal Black, the fiber manufacturer’s solution for black denim that never fades. Lenzing Modal Black is a spun-dyed fiber that incorporates the pigment during the extrusion production process, meaning the dye is permanently fixed into the fiber structure. Even after 50-plus washes, there is no sign of fading. “Due to the large and growing consumer demand for black jeans which retain their color, we’ve worked with the global supply chain to develop fabrics using Lenzing Modal Black,” said Michael Kininmonth, Lenzing project manager. Lenzing Modal Black can be used on its own or blended with other fibers to create a variety of effects. The collection is also the newest example of Lenzing’s commitment to sustainability. Compared to conventional dyeing, Lenzing Modal Black uses only 20 percent of the pigment typically required with spun-dye fiber. Lenzing research has shown that fabric made with Lenzing Modal Black fiber uses 50 percent less energy, has a reduced carbon footprint by 60 percent, and requires only half of the water typically used in production compared to conventionally dyed fabrics. *This story first appeared on Rivet and Jeans. This entry was posted in Brands, Innovation, Uncategorized and tagged BlackDenim, Denim, FutureBlack, Kingpins Transformers, Lenzing, LenzingModalBlack, NoFadeBlackDenim. Cotton textile waste isn’t just getting tossed anymore, it’s making TENCEL® and big brands are buying into it. Announcing Lenzing’s latest development at the Textile Exchange Sustainability Conference in Hamburg, Germany Tuesday, Tricia Carey, the company’s director of business development for apparel and denim, said no new ideas come to fruition without determination. And Lenzing was determined to answer the market’s demand for closed loop production processes by taking cotton scraps that would have otherwise been discarded and turning them into fiber. To make the virgin TENCEL® from the cotton waste, Lenzing takes the fabric scraps from post industrial waste, removes any contaminants such as dyestuffs and resins and produces a cotton cellulose pulp. This pulp is blended with wood pulp adding only solvent and water and the only output is TENCEL® fiber and water. In keeping with the recycling efforts, during the lyocell process the solvent gets used over and over and over again, and the whole process uses 95 percent less water than it takes to produce cotton. “This is taking the next step toward what we talk about so much here at Textile Exchange, and that’s the circular economy,” Carey said. Recently Lenzing’s first brand and retail partner for the new TENCEL® fiber was announced. Now Patagonia has been added as the latest brand to take up the closed-loop fiber. TENCEL® made from the cotton waste has the same behavioral properties as Lenzing’s traditional TENCEL® made from wood pulp, and the fiber gives garments the same smooth hand consumers seek and the strength to have lasting power. The first garments using the new fiber will hit the market in Spring/Summer 2017. Patagonia will be the first to market in the U.S. This entry was posted in Brands, Recycling and tagged Circular Economy, closed loop production, Cotton, Lenzing, Patagonia, TENCEL, textile exchange. Zürich, Switzerland, October 3, 2016 – The environmental sustainability consulting group Quantis is pleased to announce that the Sustainable Apparel Coalition (SAC) and Austrian fiber company Lenzing have officially joined the World Apparel and Footwear Lifecycle Database (WALDB) as partners. WALDB, a pre-competitive global initiative founded by Quantis, is a to provide a robust and credible database for environmental impact assessment and footprinting in the fashion industry. SAC and Lenzing join HUGO BOSS, Legero/Think! Shoes, the Swiss Federal Office for the Environment (FOEN) and BSD Consulting, a group of industry leaders that have come together to collaboratively measure the environmental impacts created by materials used in the apparel and footwear supply chains. The addition of these two new key players in the apparel industry and leaders in sustainability illustrates the need for more robust and credible data from the industry’s value chains. Data on the environmental impacts in supply chains is sparse, yet it is essential for organizations to drive metrics-based sustainability programs. WALDB will solve this data challenge. The aim of WALDB is to bring together partners in the industry, in an open and precompetitive dialogue, to address the needs and challenges of environmental data collection and availability. In this initiative, the partners will work together to expand the database with reliable data on the processes along the apparel and footwear value chains. WALDB enables apparel and footwear companies to identify environmental hotspots along their value chain as well as to quantify the benefits of improvement and reduction measures and to benchmark individual footprints compared with industry averages. Moreover, credible communications and marketing efforts can be built on sound metric-based footprint data, which can be used for sustainability reporting in full compliance with relevant ISO Standards and with the European Commission’s Product Environmental Footprint (PEF) initiative. The interest in calculating LCA in the apparel and footwear industry is rapidly increasing. Companies are looking for reliable data to make informed decisions and to prioritize their sustainability efforts. Furthermore, the development of new public policies like the Green Economy and the EU’s Single Market for Green Products are adding to the demand for credible data. Environmental impacts can range from water consumption for cotton cultivation, to impacts from dyeing and tanning, to greenhouse gas emissions from manufacturing and transportation. The WALDB partners work together to collect comprehensive datasets based on primary data from the partners and on existing data from scientific studies. The datasets are released annually, the first release took place in July 2016 and consists of 60 datasets which cover wool, cotton, and leather supply chains for shirts, pullover, trousers and shoes. The datasets will continuously be expanded during the next two years according to the needs of the partners. Quantis is a global leader in sustainability and (LCA) expertise, services, consulting and tools. Quantis is specialized in supporting companies as they measure, understand and manage the environmental impacts of their products, services and operations. This entry was posted in Brands, Manufacturing and tagged HugoBoss, LCA, Legero, Lenzing, Life Cycle Assessment, Product Environmental Footprint, Quantis, SAC, Sustainable Apparel Coalition, Swiss Federal Office for the Environment, Think! Shoes, WALDB, World Apparel and Footwear Lifecycle Database. Fast-fashion retailer Zara is trying its hand at sustainability with a new fashion line made using environmentally friendly materials. The push by Zara, which has nearly 2,000 stores in 88 countries, is indicative of the continued push for increased transparency in retail, and demonstrates the importance for retailers to commit to sustainability, according to Brooke Blashill, svp and director at Boutique@Ogilvy. “As any retailer is planning for the next generation of customers, and its business in general, sustainability and social impact have to be a top consideration, and it’s positive to see Zara take a step to improve its supply chain,” she said. According to the Zara site, “the collection embraces a woman who looks into a more sustainable future” and is made with materials like organic cotton, recycled wool and Tencel, a recycled fabric derived from wood cellulose. Zara says that its Tencel is sourced from sustainably managed forests and that the farming process for its organic cotton uses 90 percent less water than usual cotton. It’s a tenuous stance given Zara’s role in perpetuating the trend of cheaply produced goods, typically made from easily procured materials, sold at a low price point. Kathleen Wright, founder of Piece & Co., said in the Glossy Podcast in August that it’s nearly impossible to reconcile sustainability with fast fashion and still turn a profit, making environmentally friendly efforts incongruous to the brand identity of companies like Zara. The Spanish company is also launching a social campaign using the hashtag #JoinLife that includes “Boxes with a Past,” a selection of artists on the site creatively transforming Zara cardboard boxes into works of art. Zara lso launched a series of clothing collection receptacles at 300 locations in Europe for consumers to drop unwanted clothing of any brand, with plans to expand the effort to Asia and North America in 2017. Users can also request free clothing collection in Spain and additional clothing will also be donated to the Red Cross and Oxfam, as well as to textile projects at the Massachusetts Institute of Technology and Lenzing, an Austrian based company focused on sustainable fabrics. Blashill said focusing on environmentally friendly offerings is an increasingly important focus for retailers like Zara, noting that a recent Nielsen study found that 75 percent of millennials would be willing to pay extra for sustainable offerings. Competitor H&M launched its own Conscious line back in 2012. The move also comes on the heels of retailers making increased pushes towards transparency, including Gap announcing earlier this month that it would disclose its full global factory list. Wright told Glossy in a previous article that efforts like these help create a domino effect of other brands enacted sustainable efforts. “When a big brand steps forward like this it’s exciting because it shows that if a company at this scale can make a change like this, other more nimble companies can do the same,” Wright said. This entry was posted in Brands and tagged Boutique@Ogilvy, BoxeswithaPast, Fast Fashion, Gap, Glossy, JoinLife, Lenzing, Oxfam, Red Cross, Supply Chain, Zara.